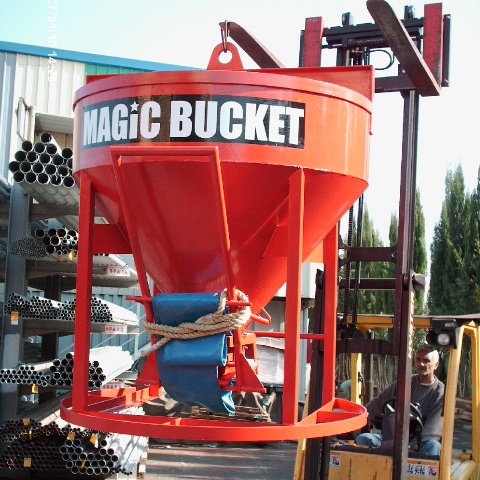 The Magic Bucket improved control over the pouring process of concrete. 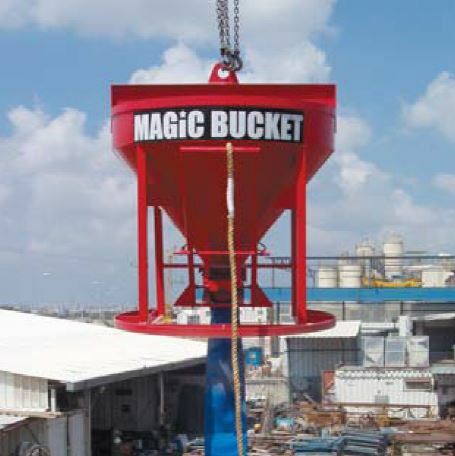 At the bottom of this bucket there is an ingenious shutter mechanism. 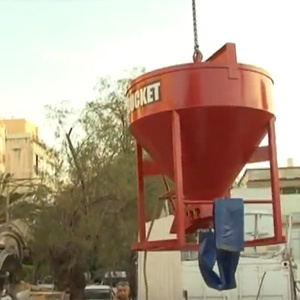 This mechanism is manually opened and closed by an operator supervising the concrete pour. 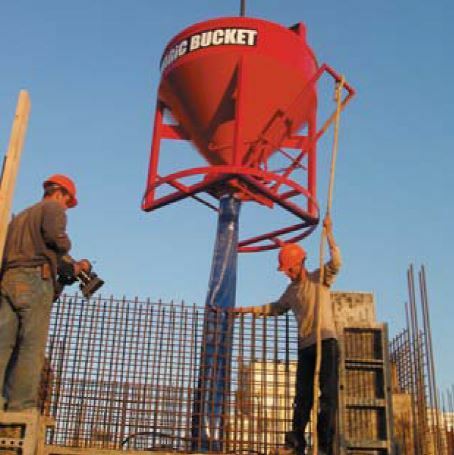 A flexible hose attached to the bucket’s lower opening allows for precise distributions of concrete. 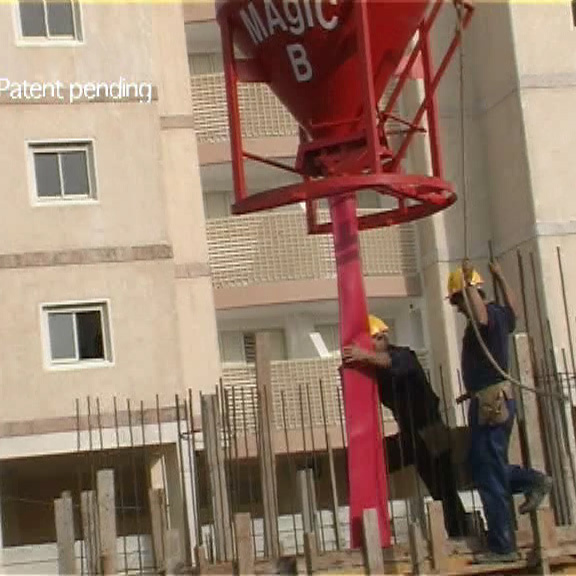 While pouring, it is possible to insert the hose into the pouring template. 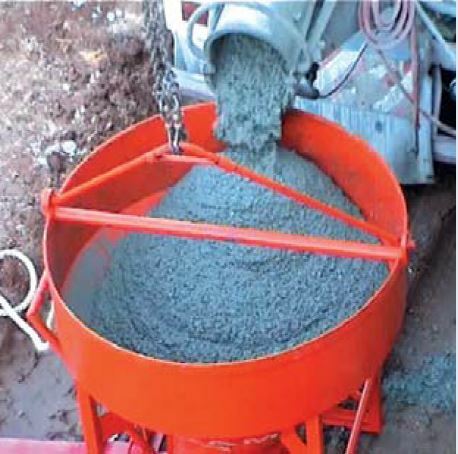 Special mechanism which prevents spill over of cement. Mobility and accessibility to problematic pouring areas. 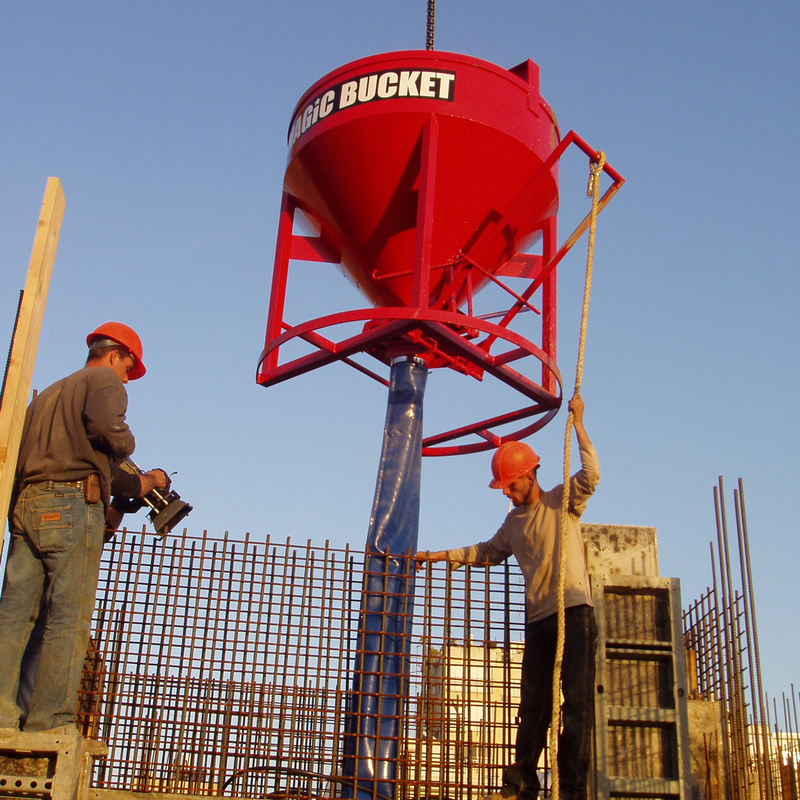 Combination of bucket and concrete pump. Increases productivity and saves costs. 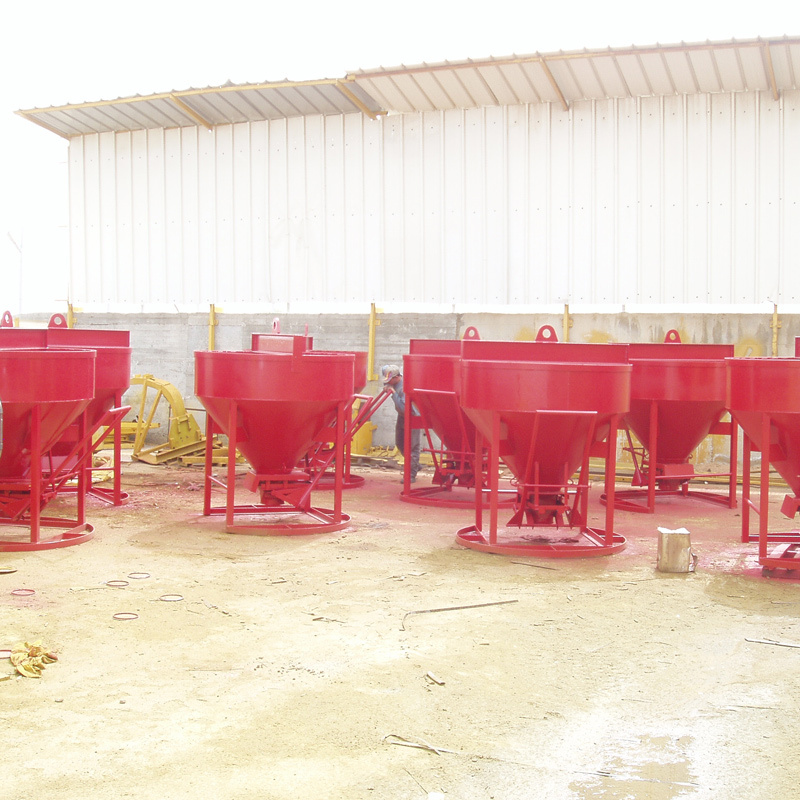 Reduces crane operation by eliminating time to concreting location. Easy to maintain and easy to use. 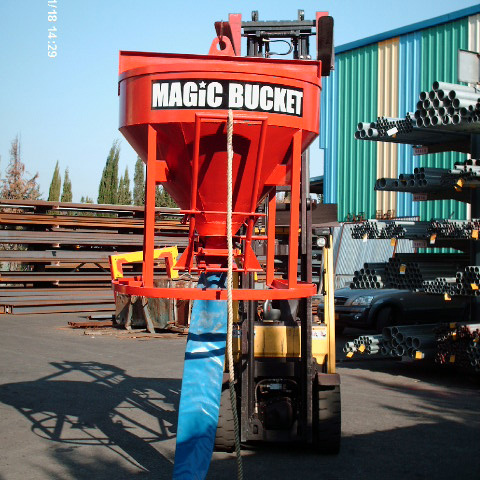 Load Capacity – 1 – 2 Cubic-Meter / 1.3 – 2.6 Cubic-Yard. 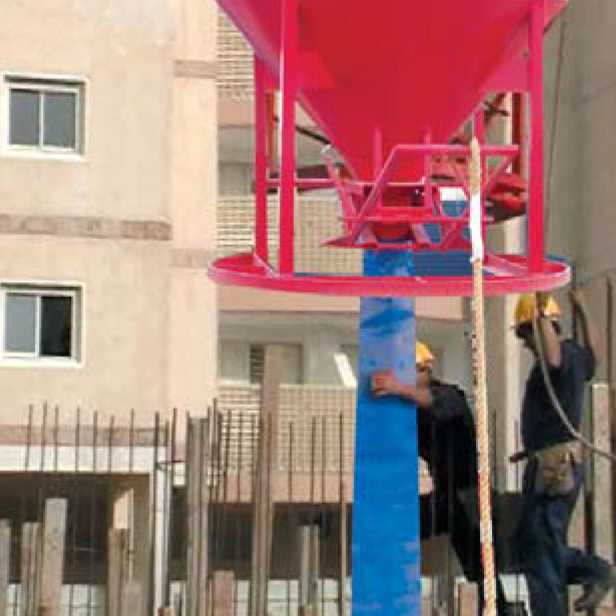 Saves time – Our pouring manner saves time because the hose allows you to reach the difficult building areas easily and quickly in comparison to existing market solutions. 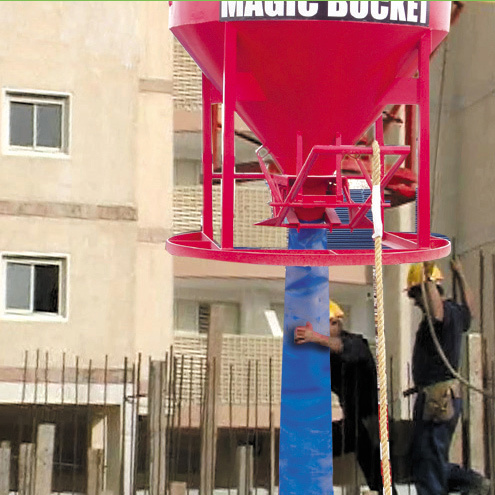 Saves Labor – In comparison to the existing bucket, fewer workers are needed to control the pouring process in difficult building areas such as pillars and walls. 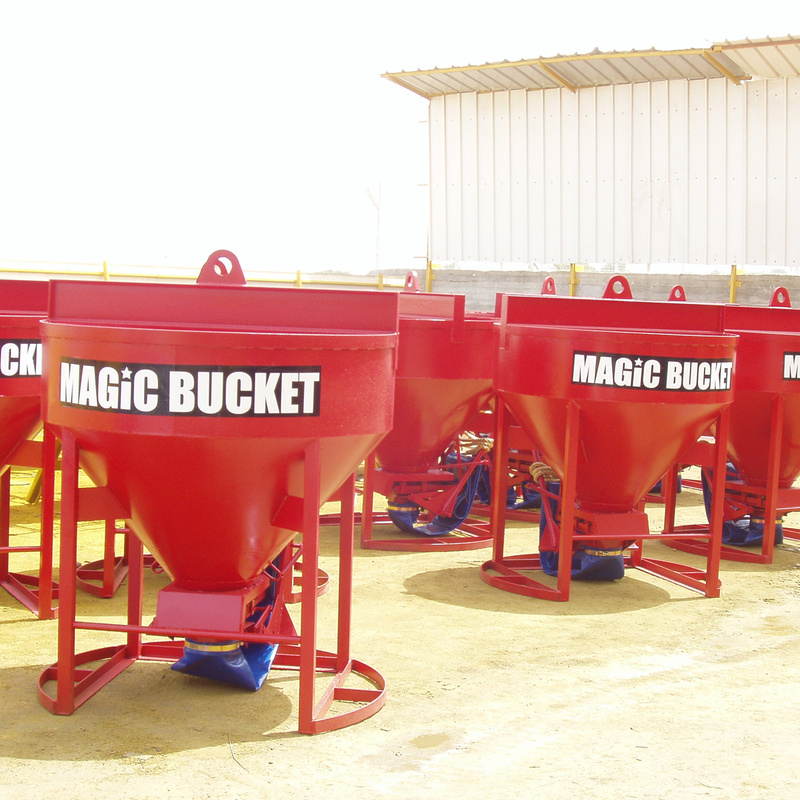 With our Patent Bucket, one worker has the ability to control the pouring flow by using a shutter cable, while another can control the pouring process by using the hose. Also, there is no need to clean up the work area after the pouring because the pouring is very precise. 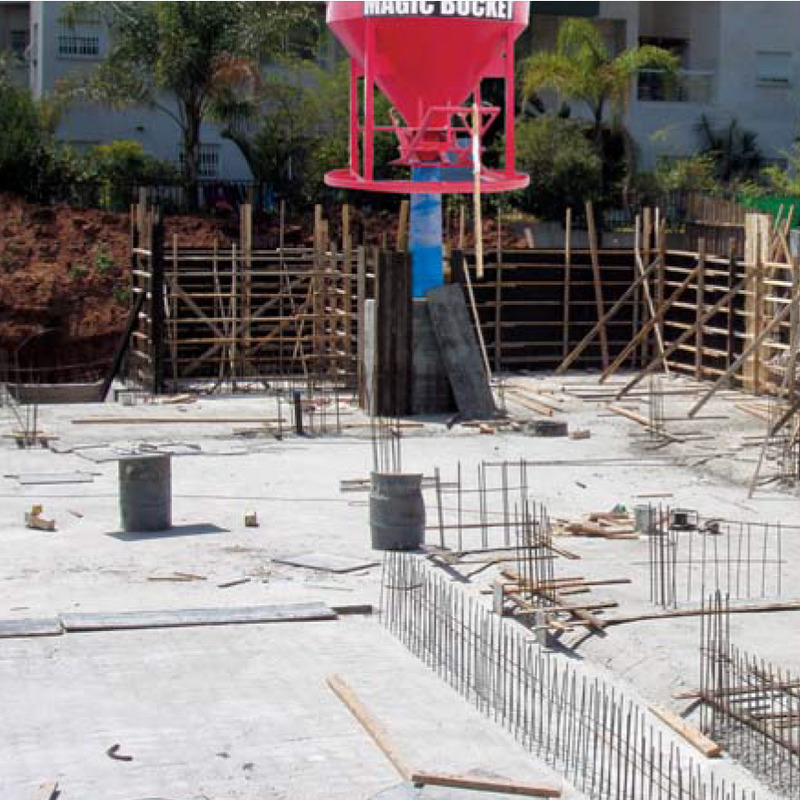 Segregation prevention – The concrete is composed of sand, gravel, cement and water. We have to ensure that this original mixture will be preserved throughout the pouring process. 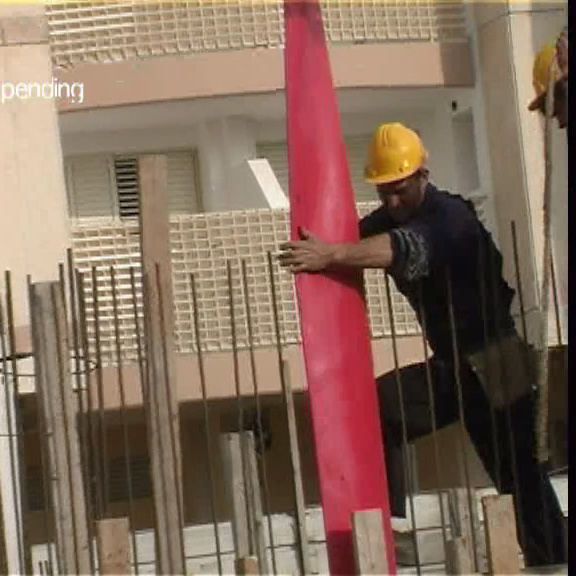 While pouring the concrete in walls and pillars where wood and iron exist, there is a high probability of segregation. 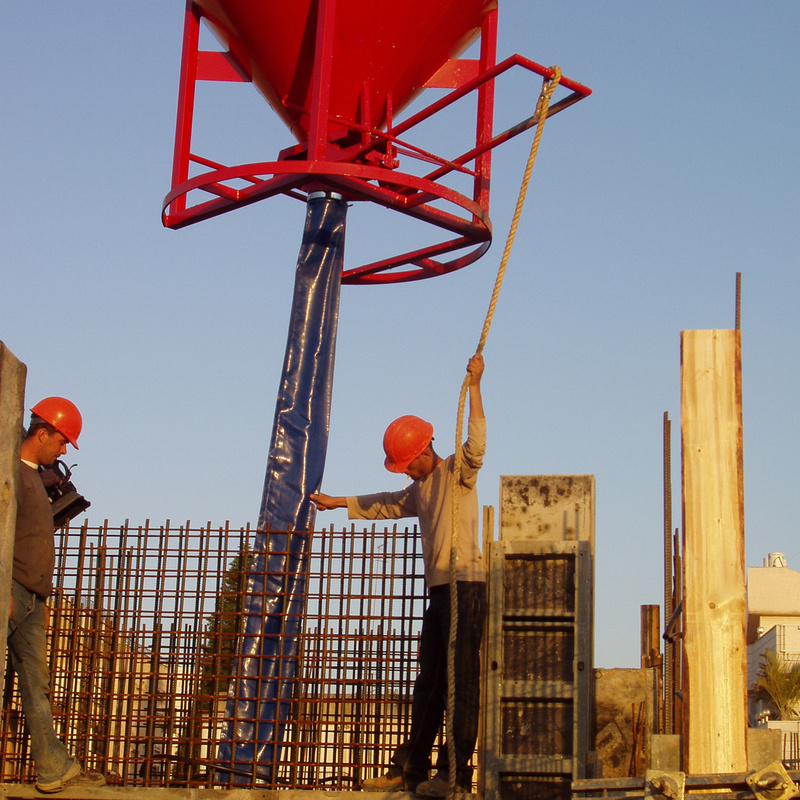 Therefore, it is important to conduct the pouring in a controlled and precise manner (which is possible through our unique opening mechanism and flexible hose). 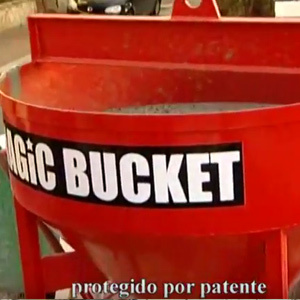 Using the Patent Bucket ensures 100% segregation prevention. 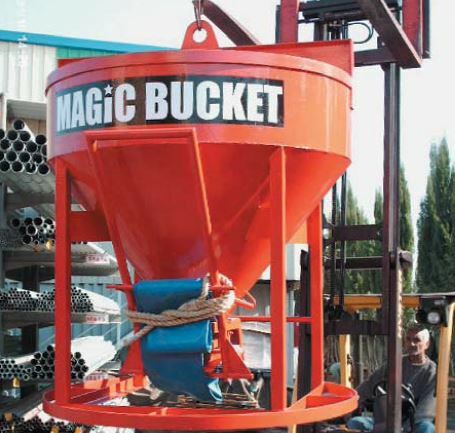 Qualities of a concrete pump – For many hard-to-reach jobs, the Magic Bucket is an efficient, cost-saving alternative to expensive boom pumps due to its flexibility, mobility and accessibility to be able to use it whenever required, without depending on the availability of the pump. This provides for a major saving in time and money. 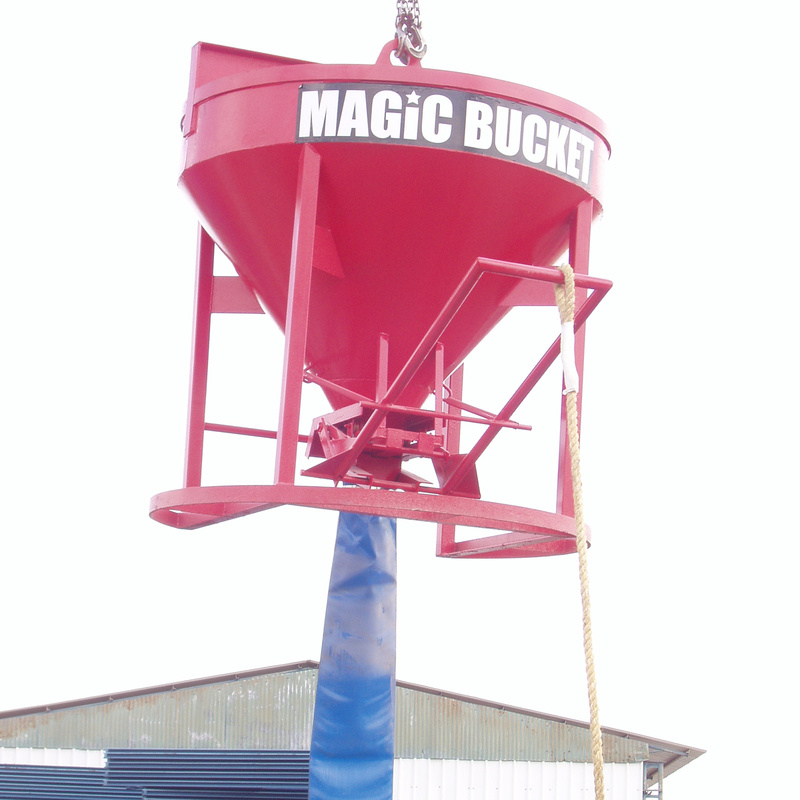 Intellectual property – A patent was granted for a controlled release suspended concrete bucket (the Magic Bucket). 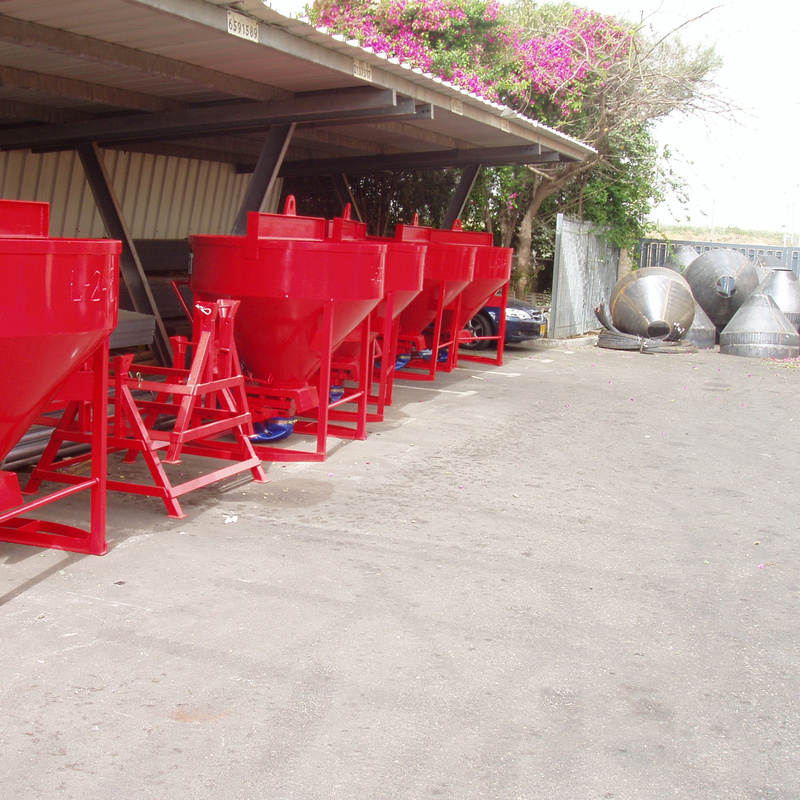 * Segregation: The process in which the concrete materials are being separated during the time of pouring. This usually happens when the concrete comes against hard materials such as wood and/or iron. Our estimate is that the damages caused by segregation are huge – sometimes, it is necessary to destroy and rebuild a wall or a pillar.